Guitarist Alvin Lee, a member of the band Ten Years After, has died aged 68. Alvin Lee’s family announced on his official website that he unexpectedly died on March 6 following complications during routine surgery. The British musician rose to fame after appearing at the Woodstock festival in 1969. Ten Years After, who had eight Top 40 albums in the UK, had their biggest hit in 1971 with I’d Love To Change the World. “We have lost a wonderful and much loved father and companion, the world has lost a truly great and gifted musician,” said the statement from his wife and daughters. Alvin Lee worked with The Beatles’ George Harrison, Steve Winwood, Ronnie Wood and Mick Fleetwood on his first solo album, On the Road to Freedom, in 1973. He released his 14th record, Still on the Road to Freedom, in August last year. Alvin Lee was due to play a concert at Olympia Hall in Paris on April 7 with blues guitarist Johnny Winter. In an interview with Guitar World Alvin Lee said he still picked up a guitar “pretty much every day”. The Woodstock Festival, held outside New York in August 1969, featured legendary performances from Jimi Hendrix and The Who. Alvin Lee’s 11-minute rendition of, I’m Going Home, was immortalized in the 1970 documentary of the event. “I’ve still got the original Woodstock 335, but sadly I don’t use it these days as it has become too valuable,” Alvin Lee said in 2012. 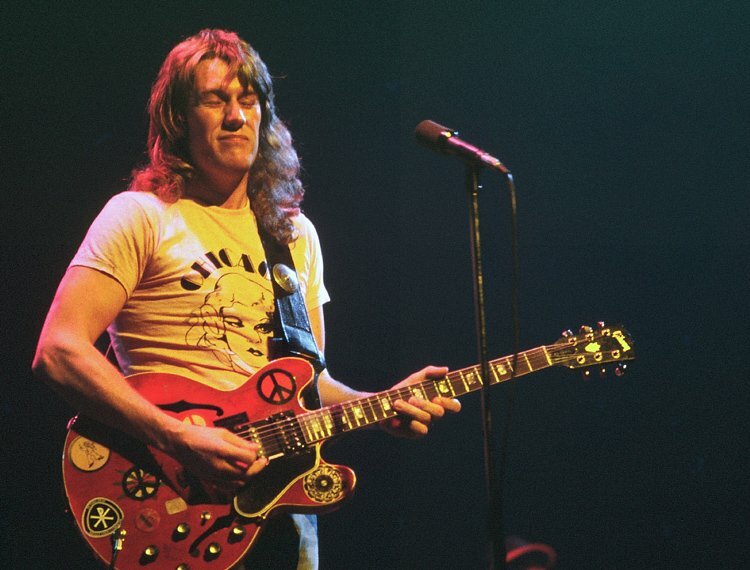 Born in Nottingham, Alvin Lee began playing guitar age 13 and formed the core of the band Ten Years After by 15. The band won their first recording contract in 1967 and travelled to America a year later due to success on underground radio stations. Ten Years After toured the US 28 times over a seven-year period.